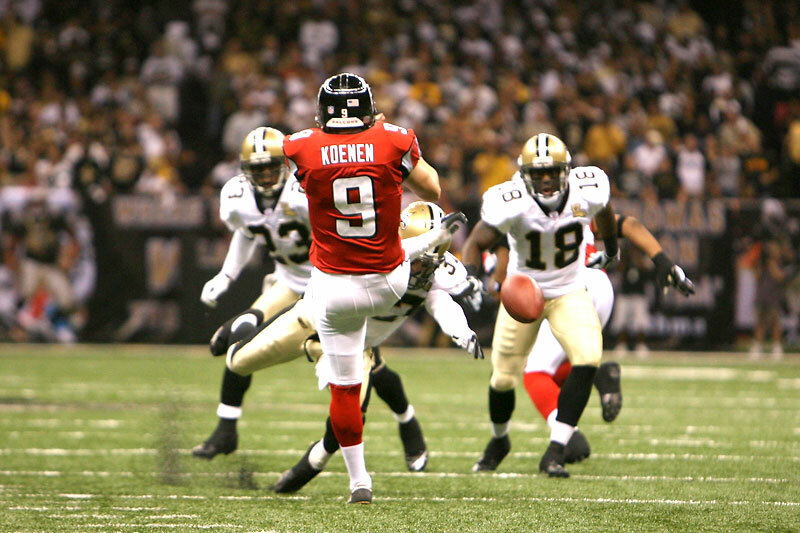 “A favorite story that Coach Payton and I often tell is from 2006, his first season with the Saints. He let the team go have a paintball tournament on the last day of OTAs that spring. The idea in itself was awesome, but to see 80 guys running through the woods laughing and pelting each other with paintballs was incredible. At some point, Coach joined the fray. Now, I didn't know Coach very well at that point, and I was fighting for a roster spot at the same time, so when I peeked around a tree, to see him in a bunker, I had second thoughts. But it was obvious that he had been set up with some pretty prime real estate and had been outfitted with the best equipment. He was blasting guys left and right. Seeing him, thinking his position was vulnerable, I figured it was my duty, as a bottom feeder, to take him down. Which is exactly what I did. Sniped! As he was walking out of the ‘game’ area, with an astonished look on his face, I couldn't help but yell a triumphant, ‘I killed Coach! I killed Coach!’ "
“Mike and I met in 2003 through our mutual friend, Erica Perkins. Erica and I went to Washington State together. She was coaching tennis at Georgia Southern and I was with the Saints, so we kept in touch, since we were here down South together. Mike had us sit on stage in Atlanta for a show. We got to see the band getting prepped pre-show, then met most of the guys after the show. As a big fan of Pearl Jam, it was a pretty spectacular experience. Over the last decade, Mike's family and my family have grown very close, so we've created some great personal memories together. They played in my hometown of Spokane, WA last year. Eddie said I could draw up the playlist the playlist for the show, which was such an honor. I included 'Wont Back Down', a Tom Petty song that Pearl Jam occasionally covers. Ed stopped the show before song, turned up the arena lights, and gave a little tribute to me, Michel and Rivers. To be in front of my hometown, with my best friends, who I used to analyze Pearl Jam songs with 25 years ago, was astounding. As Ed finished, the crowd started clapping, cheering, chanting and weeping. What a moment." “When Bill requested a meeting, naturally I was pretty shocked. He was very welcoming, and more casual than I expected. We geeked out exploring the technology I use, and we brainstormed about what is possible in our future. I had a great time with him. In fact, he asked about what I could do, beyond typing, on my tablet. I figured I would play a song for him. I replied, ‘I can do anything an ordinary person can do on a Surface tablet. What's your favorite song, Bill?’ He told me his favorite song was ‘My Favorite Things,’ from The Sound of Music. I cranked out the John Coltrane version (recommended by my father-in-law, Paul Varisco) on Spotify, and we all had a good laugh. Finally I said to him, ‘We are working hard on a few ‘impossible’ initiatives, including: developing innovative, cutting-edge technology that impacts not only disabled people but also the general marketplace, and ending ALS.’ Who better to help solve what most people see as impossible problems than Bill Gates? Former Titans linebacker Tim Shaw on being diagnosed with ALS this year, and his plans for boldy living a full life. On Orlando Thomas, the former Vikings defensive back who died this month at age 42 of complications from ALS. "I reached out to Eric Valor, a good friend and ALS mentor of mine for his help on this. I get to be on TV and in Sports Illustrated, so I think people tend to forget how difficult ALS is for me and tens of thousands in this country. In a way, I think Eric disproves the public's misconception of ALS. “Some believe Person(s) with ALS (PALS) are also cognitively impaired by the disease. Many think the disease is incurable, and therefore research is unnecessary. Others regard it as something very rare that only other people get. In fact, ALS has about the same incidence as multiple sclerosis, the patients are not in any way mentally diminished, and the research into this disease can fundamentally reshape the prognosis of all neuro-degenerative diseases (and possibly the very concept of aging). Steve Gleason's website is teamgleason.org. You can follow Team Gleason on Twitter, Instagram and Vimeo.